A lot of brands offer the same for different prices, however each brand has their own sense of identity and that can be seen when it comes to the detailing in their pieces or in their boots. I would advice getting a pair from Aldo or Call It Spring, which are two favourite shoe brands in Canada for both men and women. Also they are less pricey at the two stores, with the boots ranging from 50CAD to 100CAD, not to mention the various sales and discounts you can get from season transitions. I got this particular pair for approximately 59CAD on sale at Aldo. For this outfit , I wanted the boots to be the statement of the outfit, so I stuck to my black on black outfit. This look is perfect for that casual Friday at work, drinks with the boys after work or even a quick dash to downtown for a meeting or lunch with the girlfriend or boyfriend. 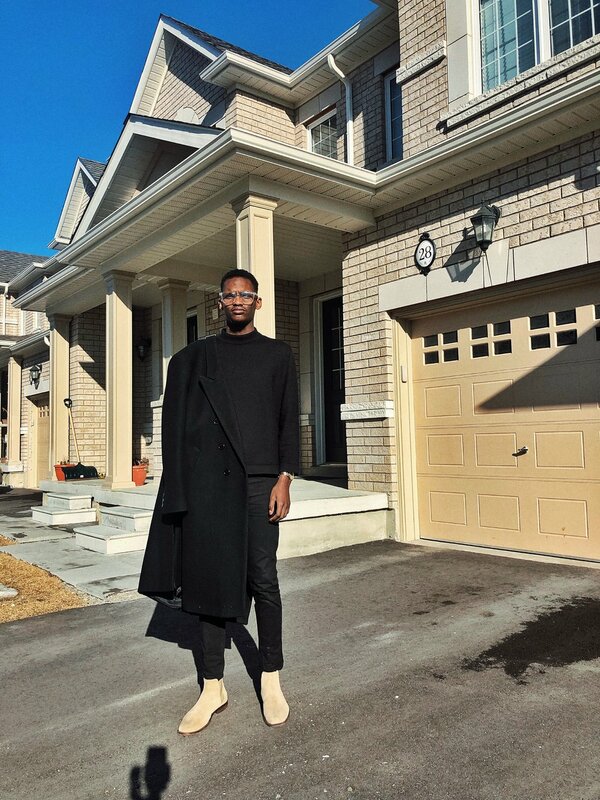 A lot of style influencers like JovelRoystan, JustinLiv and Sulsworld wear a lot of Chelsea boots here are some outfit ideas from them. Remember to check out my instagram for more everyday outfit inspiration.